3. OSX Lion is about a 4GB download from the App Store, so make sure you have a good internet connection or you start the download just before you go on vacation! - NOTE!!! - This means you can use your iTunes gift cards to purchase OSX Lion! So you can finally cash in all of those unused Apple gift cards you got for Christmas. Also, for the deal nerds like myself, you can save a few dollars on the purchase price. How? Just google “iTunes gift card sale” and you can probably find a local drugstore, supermarket, or electronics store that is offering a deal on the cards. These places offer the gift cards at a discount just to get you in the door. I usually check www.dealmac.com for a Mac deals. If you can’t seem to find anything, there is always eBay. This will probably only save you a few dollars, but hey, you can make fun of your friends for paying FULL Price! Boooooooo! If you want some more info, i would suggest reading the link below for a Lion Review by Edward Baig of USA Today. It is rather lengthy, but who am I to bash someone for rambling in an article. After all the news I’ve read, I think best new feature would have to be the “auto-save” that Lion performs in the backround. According to Baig’s article, not all Applications support this feature right now, but it is probably in the near future. While this feature seems very very helpful, I still think I will wait to purchase the update. Personally, I usually wait a few weeks when these updates come out so they can work out all the kinks. This will be less of an issue now than those what had to jump from Tiger to Leopard, but kinks still do exist. In fact, Baig mentioned having some issues with his Wi-Fi with OSX Lion. Everything considered, it’s just another phase of Apple staying ahead of the game. What will you do? 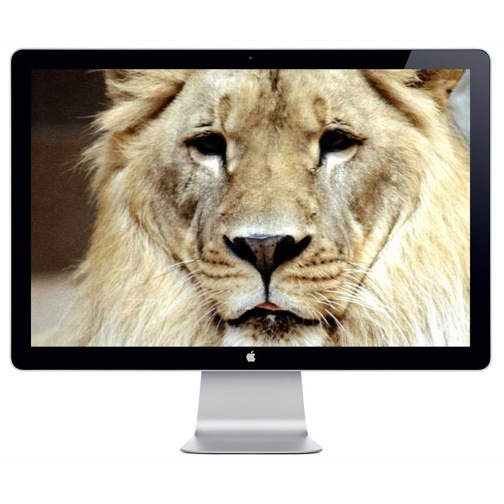 Will you make the leap to Lion? Anyway, now to the point of this blog post, hahah! I don’t know about you, but I love to read the comments on websites. There is no better place to find quality quips and one-liners than on these comment boards. For the past few years, it never fails that the days following the race there are tons of negative comments concerning the T Shirt design. I must admit, that I don’t really care for most of the design finalist, or the winning designs, but they are not terrible. Well, just a few days ago, I read a very good comment from someone that was obviously tired of the annual T shirt bashing. They suggested that all the “haters” are just jealous and instead of whining, they should send in their own designs. 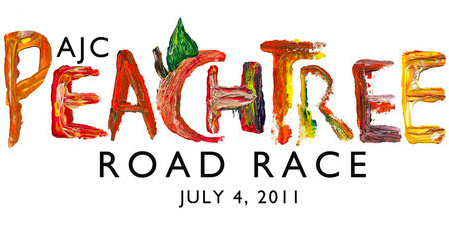 I thought that was a great idea, in fact I decided that I would work on a Peachtree T Shirt design myself. Below is a picture of what I came up with. It’s probably not “artsy” enough for the judges, but I tend to like things simple and sweet. What do you think? Maybe I will submit it next year. 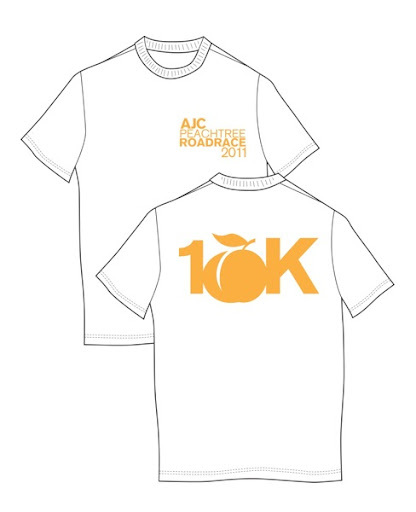 Who knows maybe I could be the one with 60,000 people hatin’ on my T shirt design. hahaha! Gestures are nothing new to Apple fans, but this is the first OSX update that is promoting use on the computer. Rubber-band scrolling, page and image zoom, and full-screen swiping are all routine for those who have an iPhone or iPad. Some of the gestures have been available to those who purchased the Magic Mouse or the Magic Trackpad for use with their Mac. 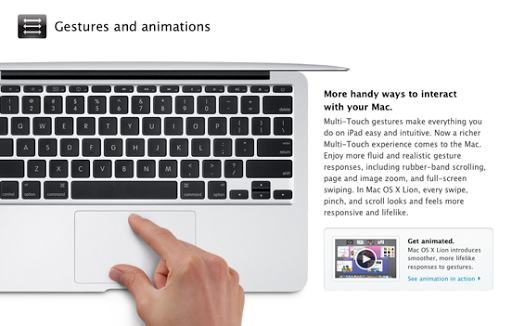 But with the OSX Lion update, laptop trackpads will now be gesture happy like the other Apple devices. If you are not familiar with the different gestures, Apple now has a pictorial on their website (http://www.apple.com/macosx/whats-new/gestures.html) as well as a quick 2 minute video tutorial to show you the gestures in action on a laptop (see top right of gestures page). Once again, this is Apple being intuitive and making something that we would never have asked for. We would have carried on for the rest of our lives using the mouse to click and scroll! Again, I must say that Apple is promoting this feature and OSX Lion like it’s some kind of life changing update. Most of these updates, we would expect to be on the next OSX release. Well, even though I jest at the advertising, I will still enjoy the simple time saving gestures just like everyone else.